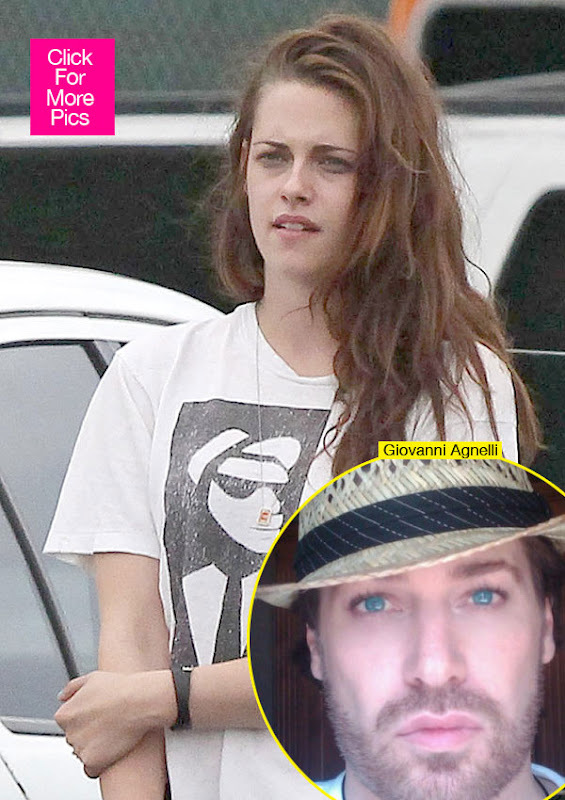 Kristen Stewart Living With Director Giovanni Agnelli !!! Now what are you saying about this situation of Kristen?? Still the first impact about Kristen Stewart cheating on Robert Pattinson is not over yet, another blending arrives with Stewart life with his pal Giovanni Agnelli. Currently she is living with him. Due to the loving story between Kristen Stewart and Rupert Sanders, Kristen isn’t staying with her parents. She also afraid of paparazzi and that’s why she doesn’t move there. According to RadarOnline news, they claim that she is staying with his friend, a former director; Giovanni and his friend also showing extra take care of her. RadarOnline also claim that Giovanni offers Kristen to stay at his home and until she feels well enough to face the media and the public, she can stay there. According to their sources, Kristen is now acting like a heartbroken teenager who is always crying and doesn’t want to meet with anyone. Even when someone call to Kristen, her each phone is taken by Giovanni and only some limited persons can able to reach her. Now there are some probabilities of making another twist between Kristen Stewart and Giovanni Agnelli through the media. So what do you feel about Kristen’s staying at Giovanni’s home instead of her parents home? Is she doing OK or it will be another wrong decision of her? And the most important issue is that, will Robert Pattinson like to hear this? Although he leaved his loving nest which is shared with Kristen Stewart after her cheating.